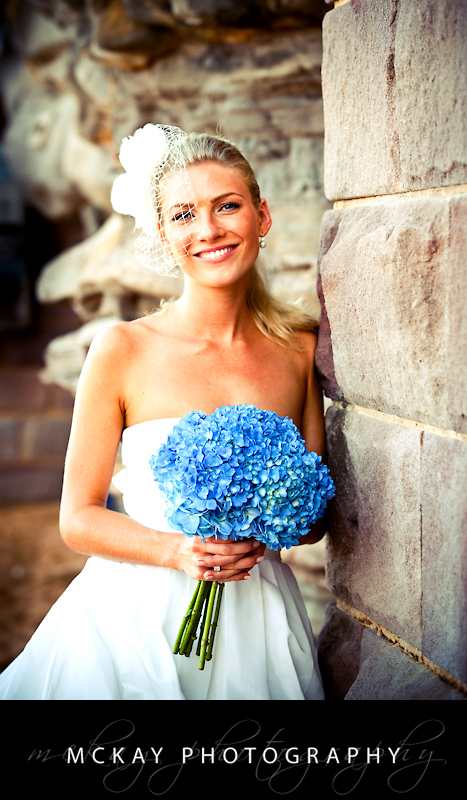 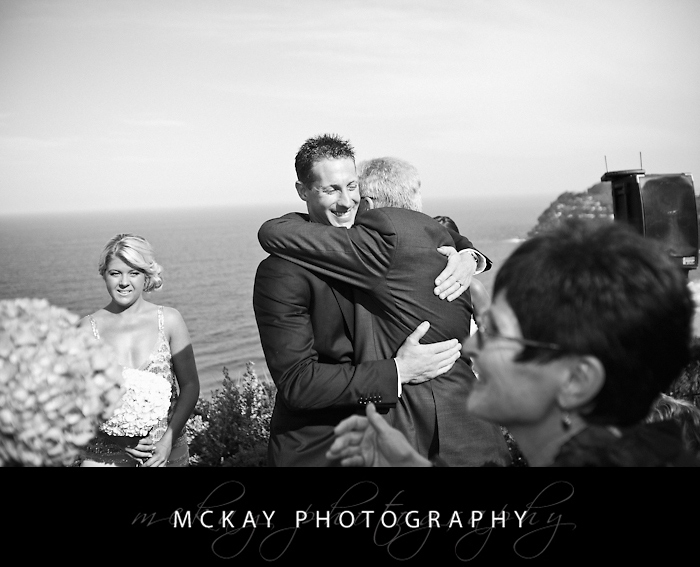 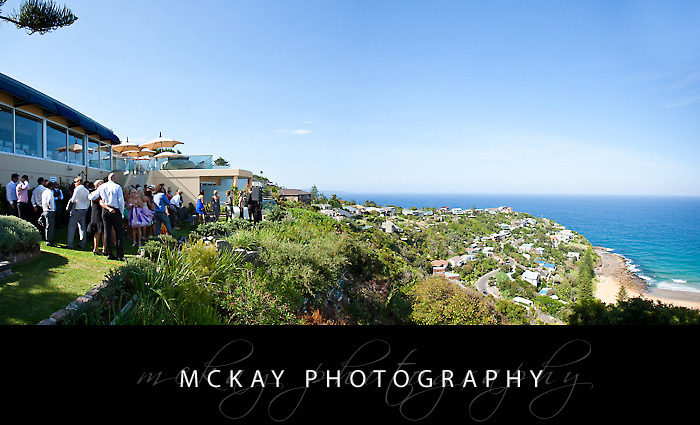 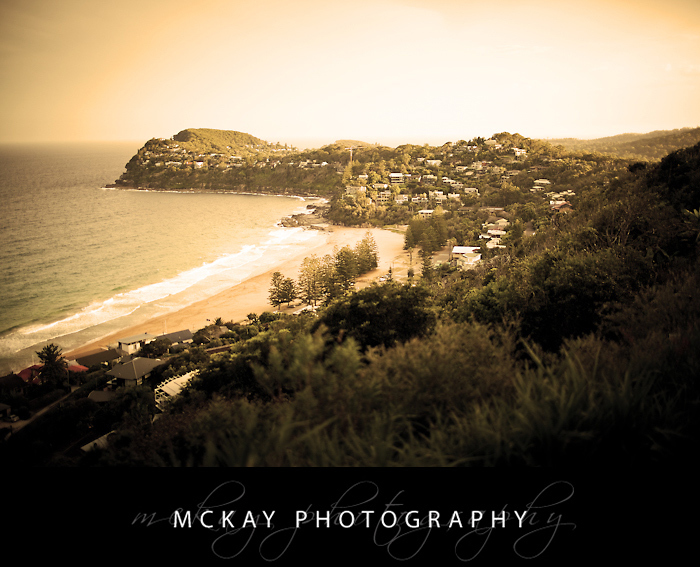 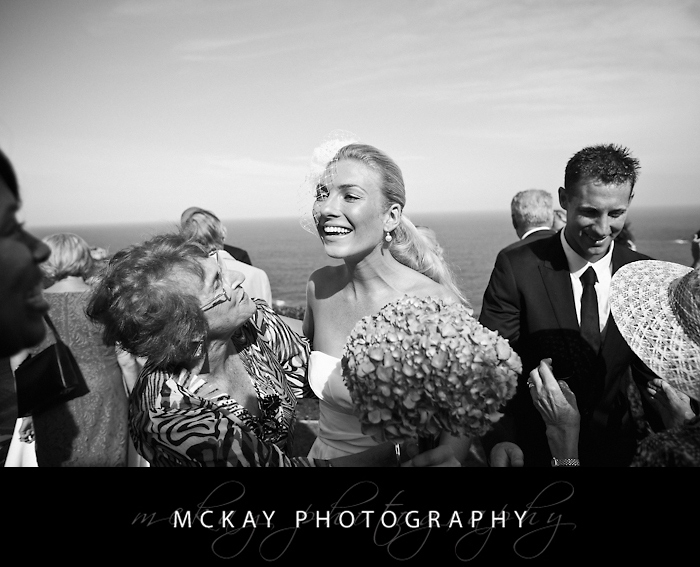 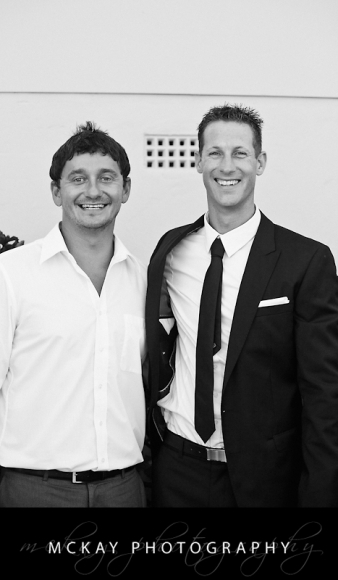 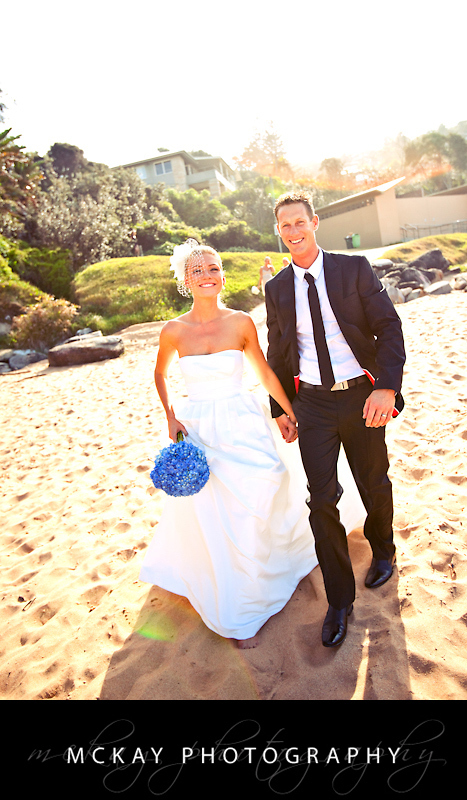 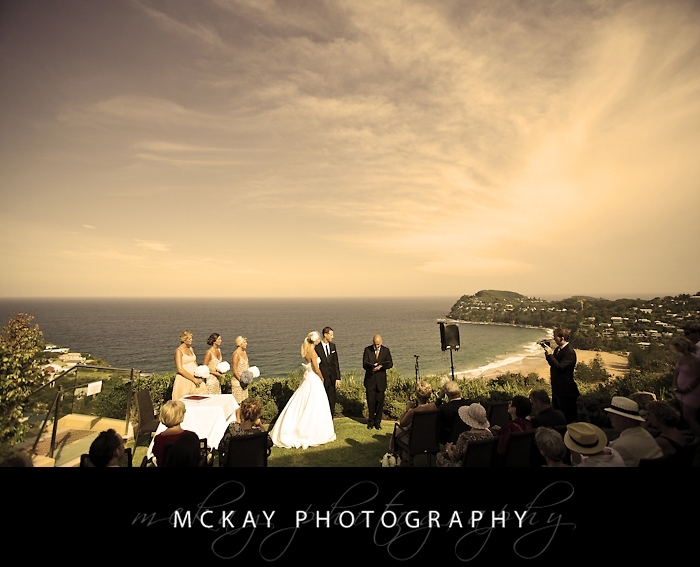 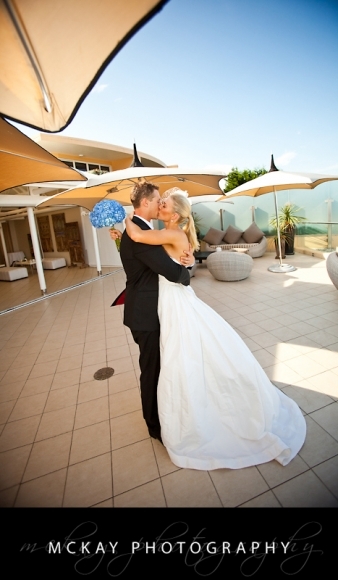 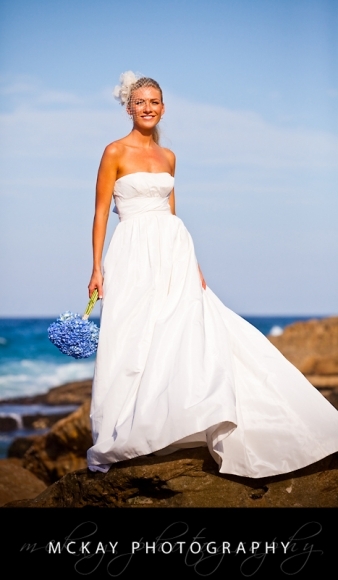 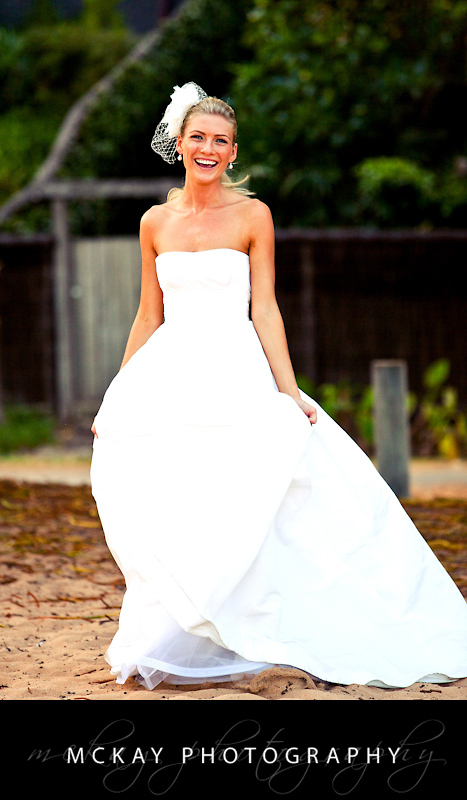 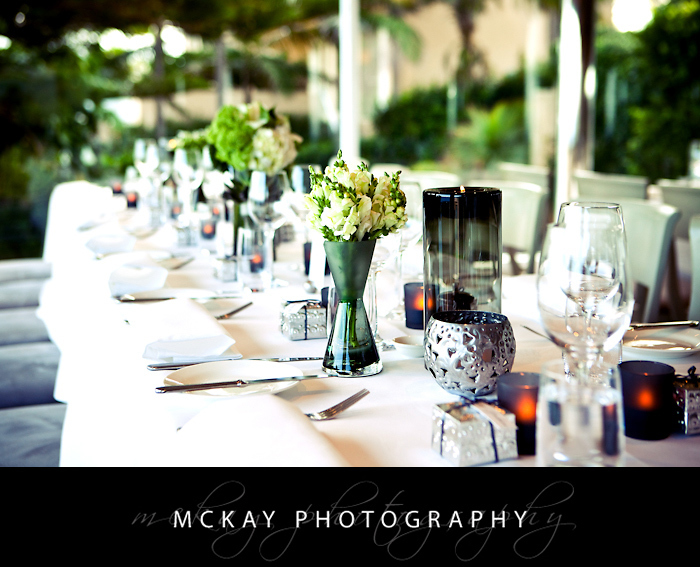 Jonah’s is an awesome wedding venue perched high above Whale Beach, right up the end of the Northern Beaches peninsula. The views are simply stunning and combined with first class food & service it’s an amazing place to be married. 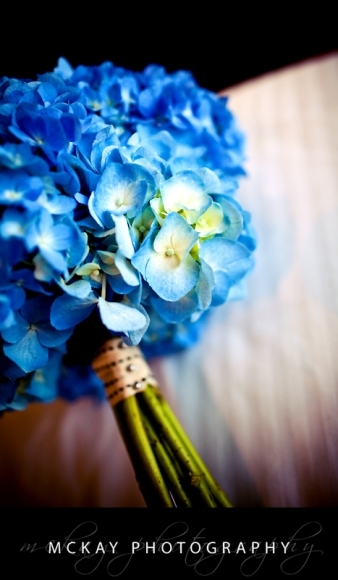 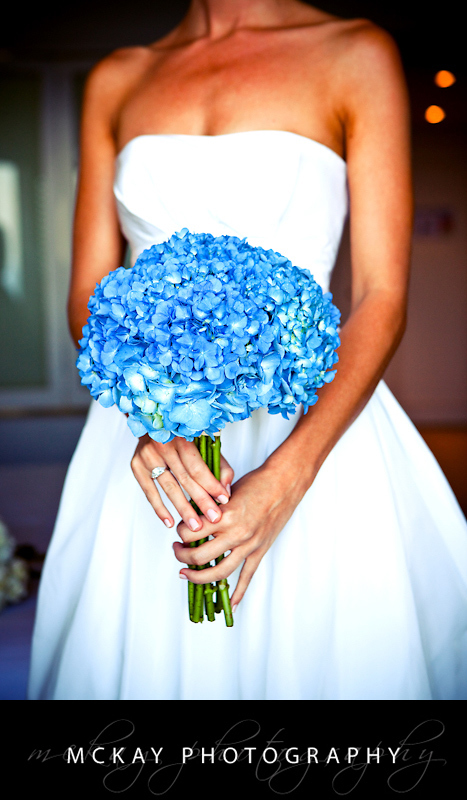 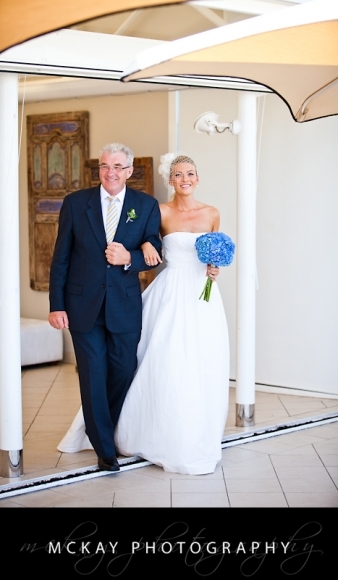 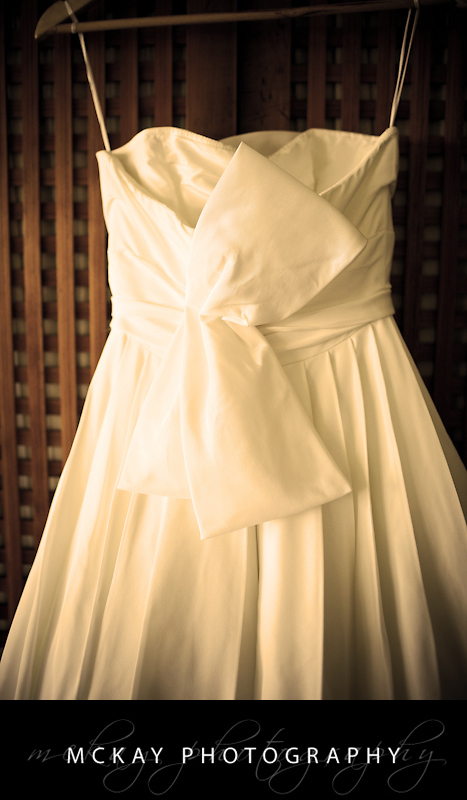 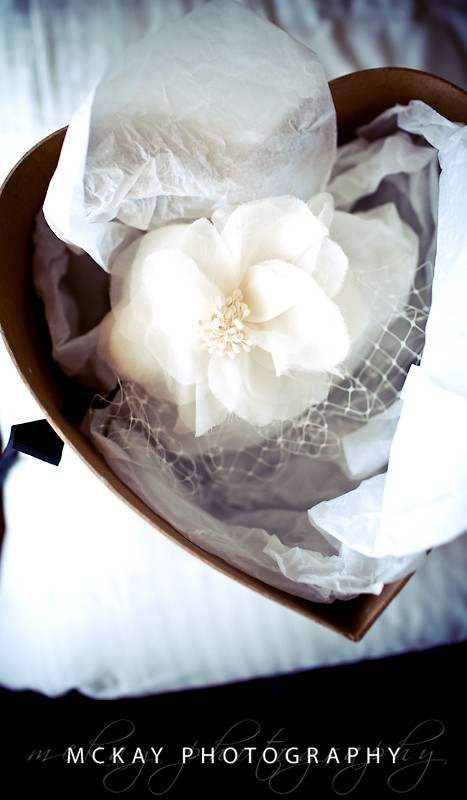 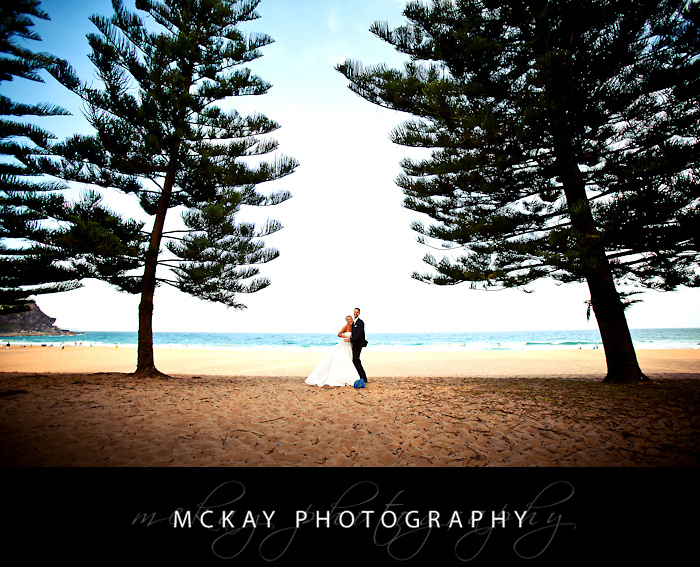 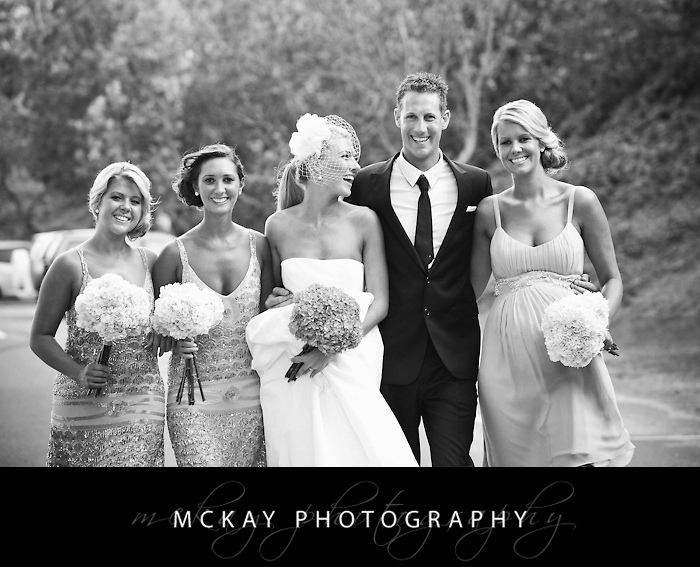 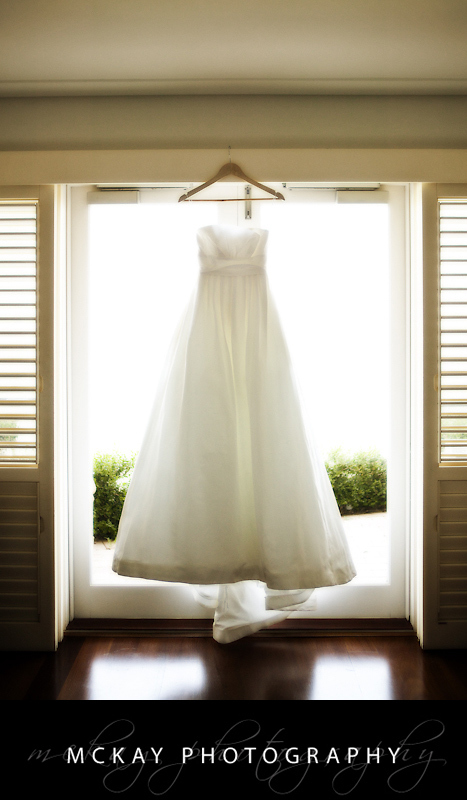 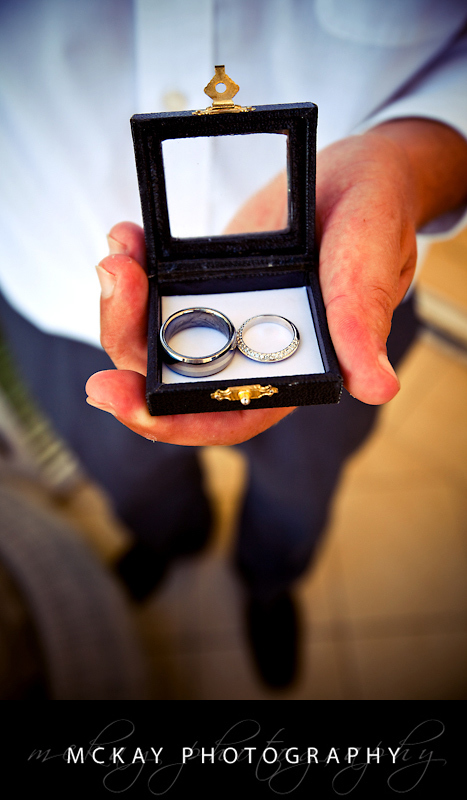 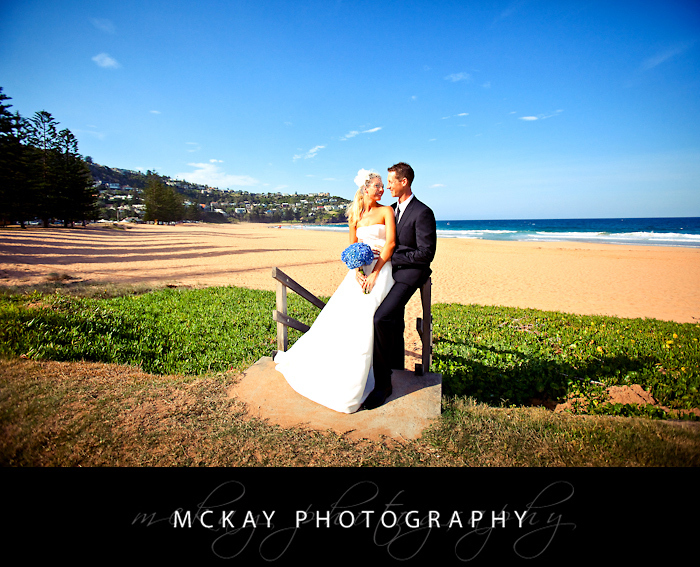 Daini & Luke had a picture perfect blue sky day for their wedding in February. 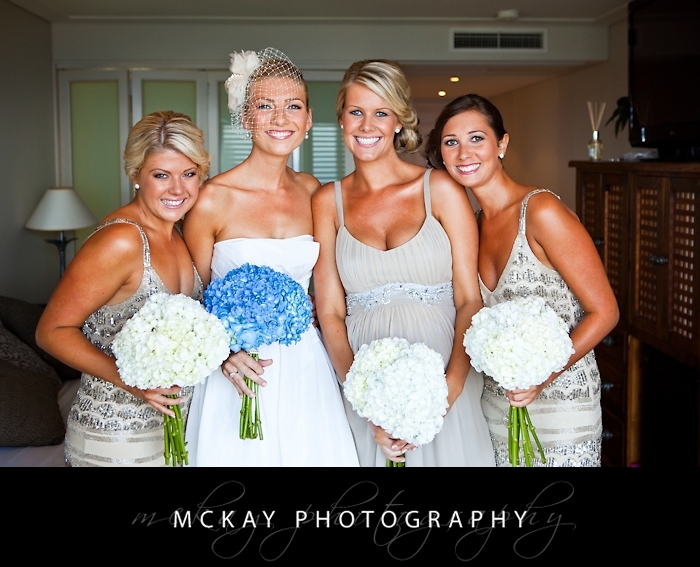 Daini & her bridesmaids were getting ready at the on site accommodation (another great thing about Jonah’s) and I loved her stylish blue flowers & hair piece, and the beautiful dress of course. 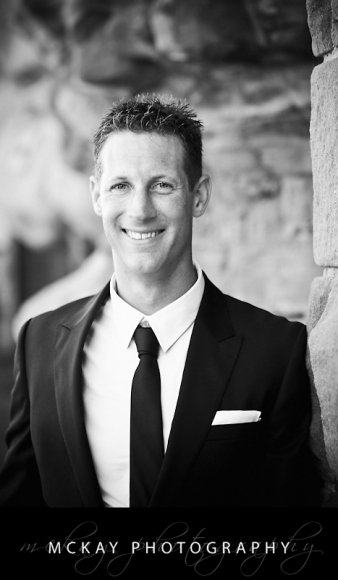 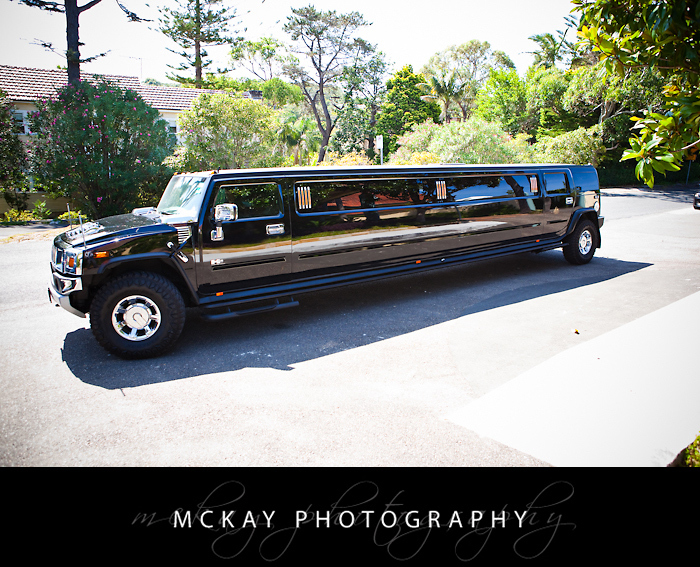 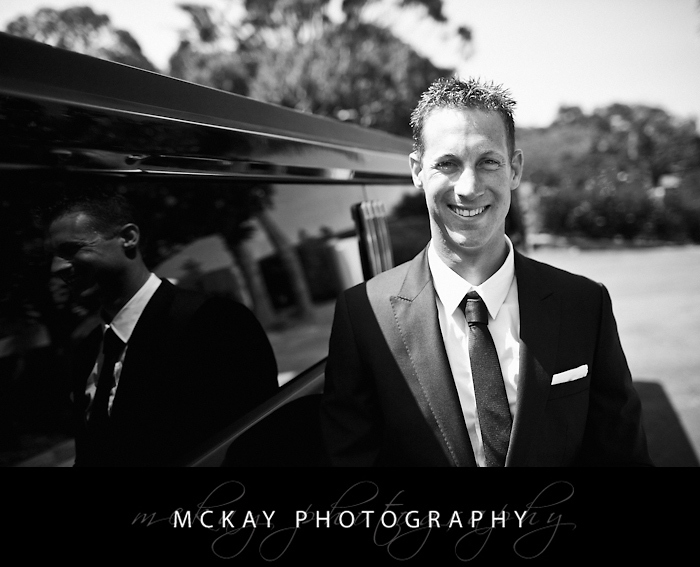 Luke arrived in a stretch limo and not long after the girls made their entrance down the stairs to the ceremony location. 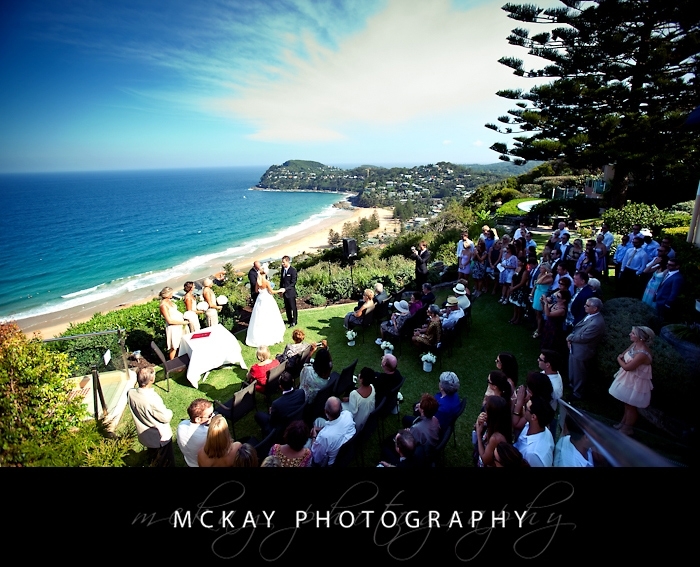 The ceremony was beautiful and after mingling with guests we headed off for photos to Whale Beach itself, only 2mins drive away in the Jonah’s courtesy van. 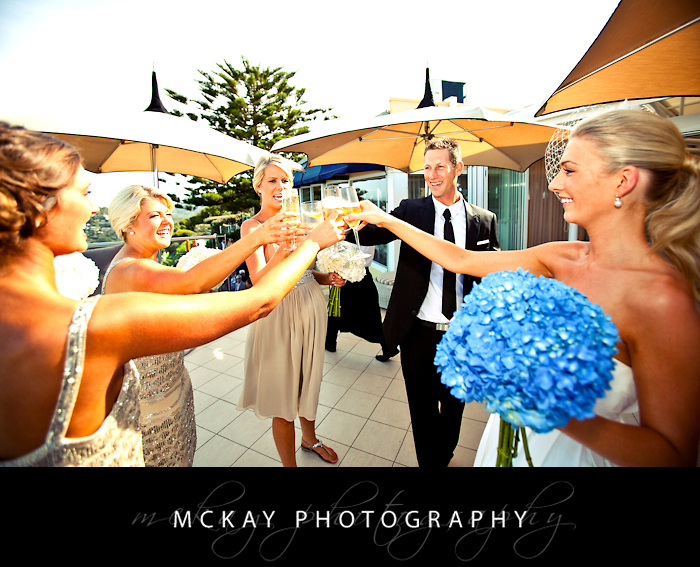 We got some great shots before returning to join the fun of canapes and drinks outside on the balcony. 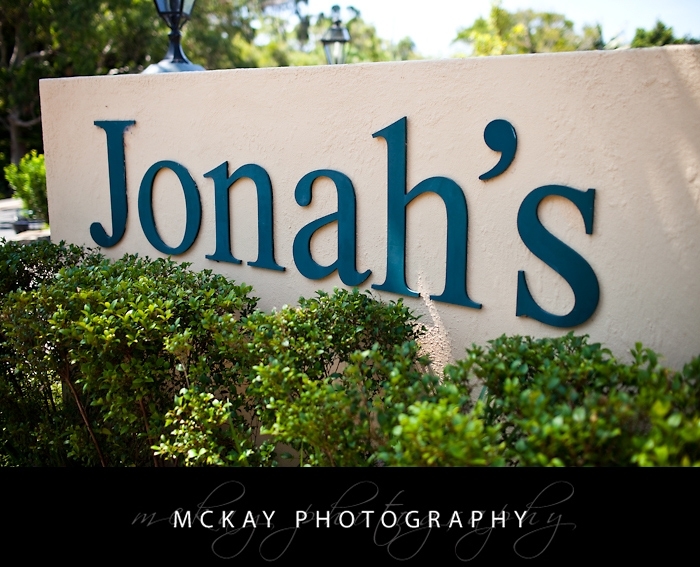 The decor and styling at Jonah’s was beautifully done by Form Over Function and I highly recommend them. 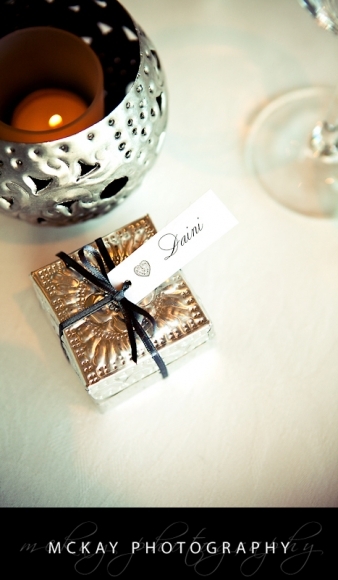 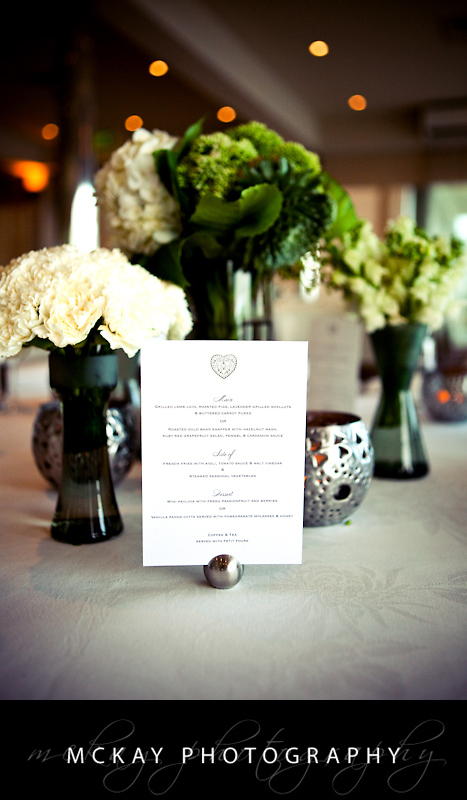 The tables looked amazing and Daini even had some items from Bali hand picked for the day. 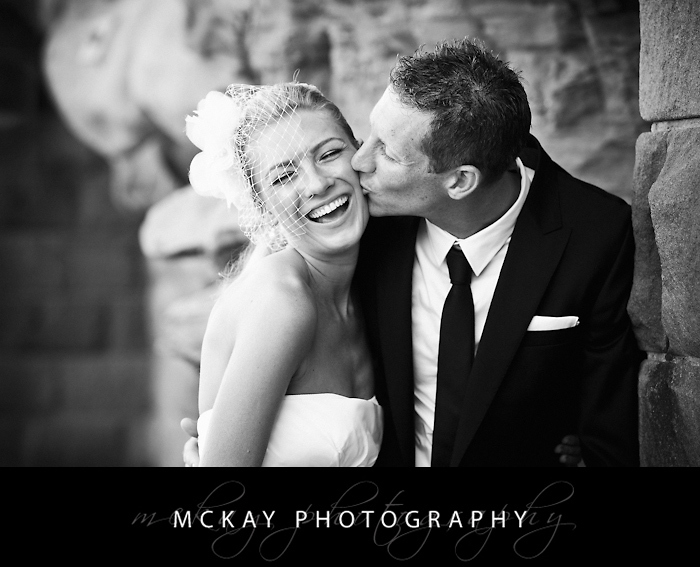 It was a great wedding, congratulations guys! 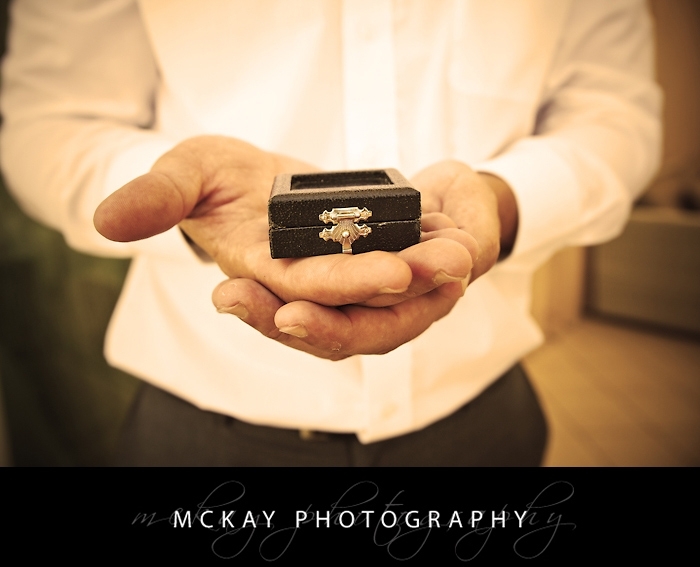 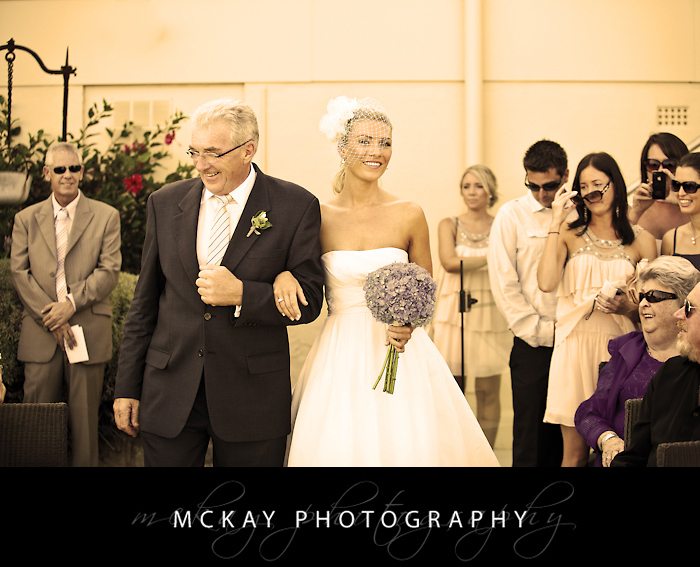 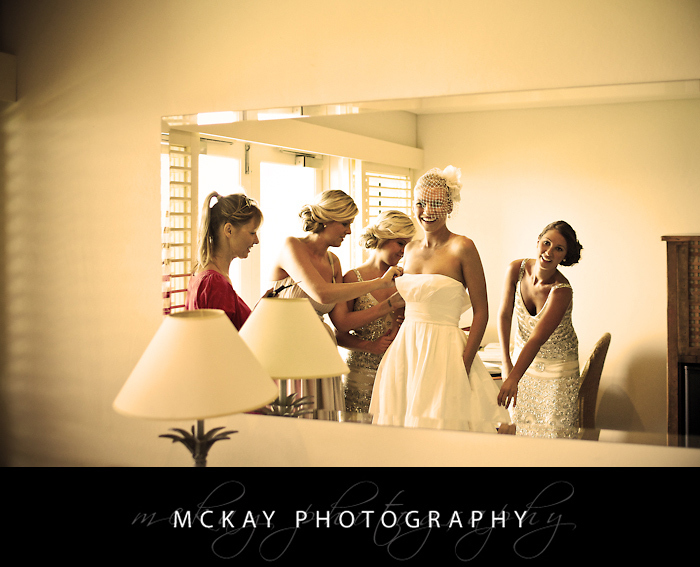 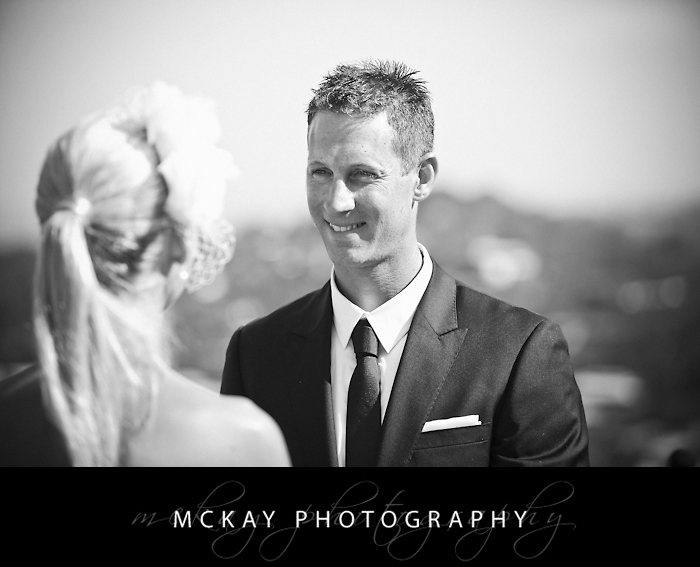 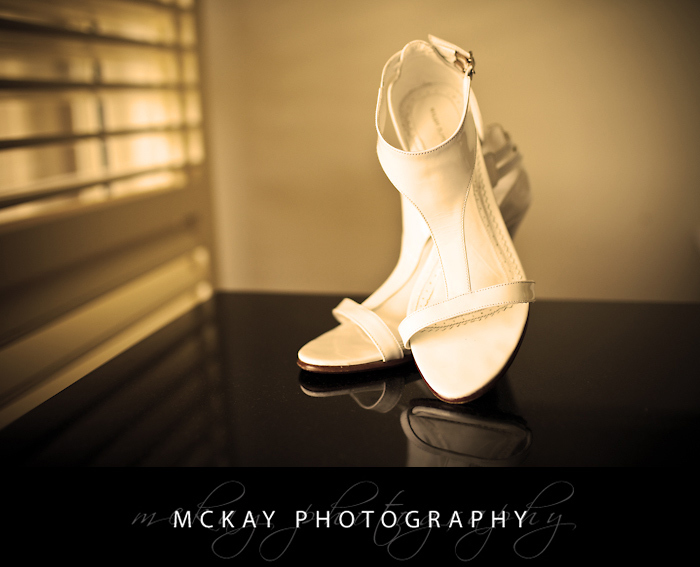 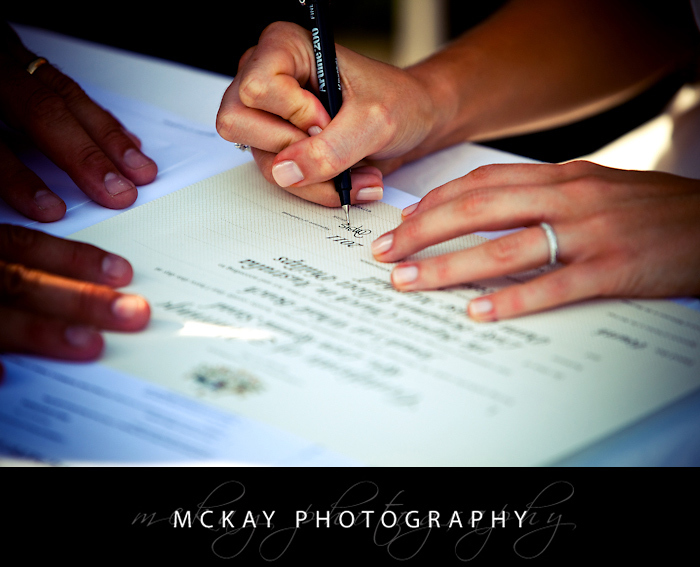 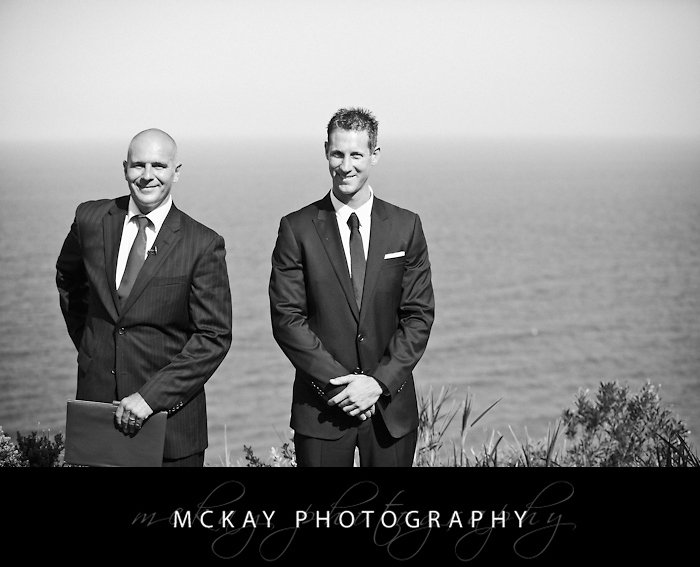 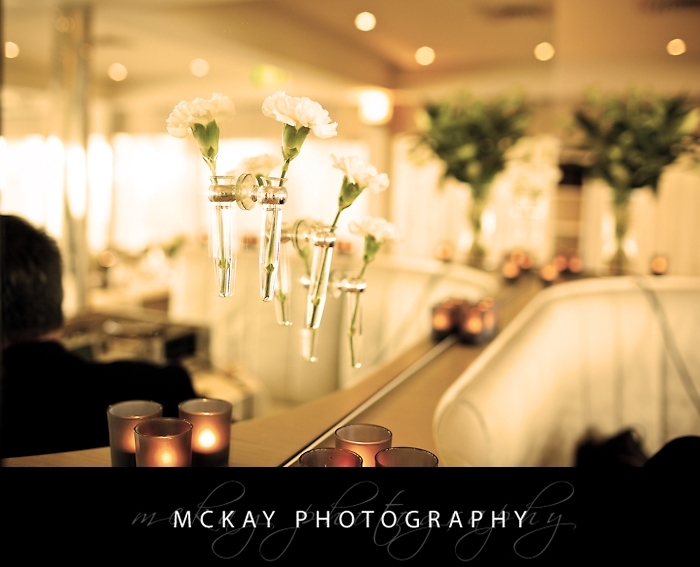 To keep up to date with our wedding blog posts you can sign up to notifications or become a fan of McKay Photography on Facebook. 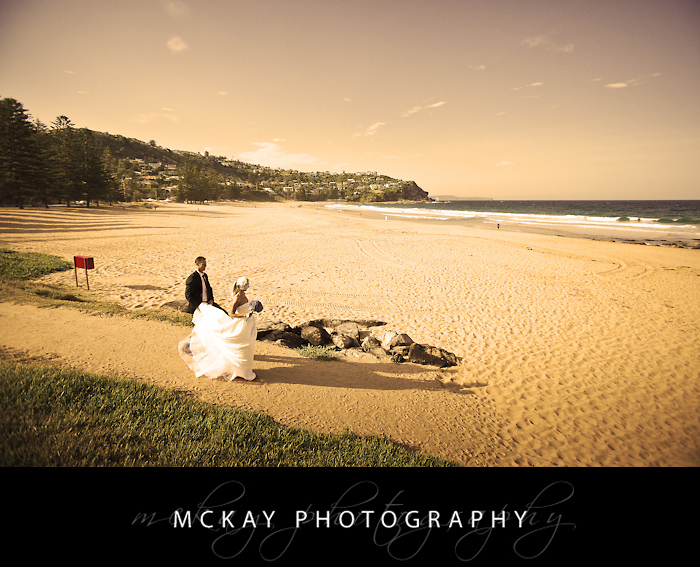 by Darryn McKay at September 20, 2011 .